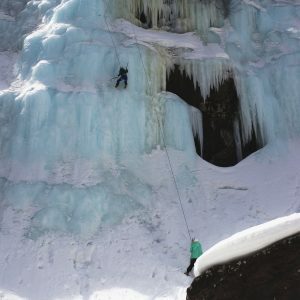 For those with previous ice climbing experience or rock climbing skills, we offer full-day guided ice climbing near Telluride and at the Ouray Ice Park. 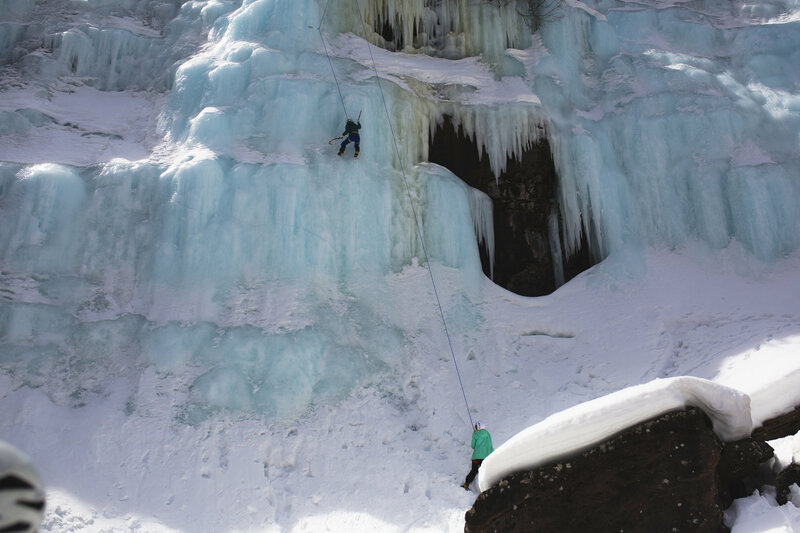 We are the only Telluride-based guide service permitted to guide in the OIP. 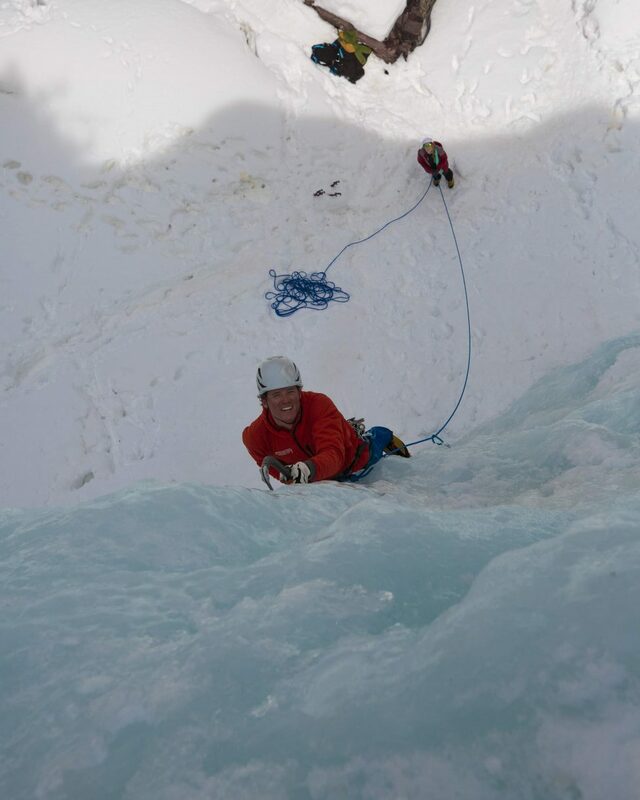 Our close-knit team of guides are passionate about and experienced climbing the big routes that surround this area. For full-day climbs around Telluride, transportation is included. 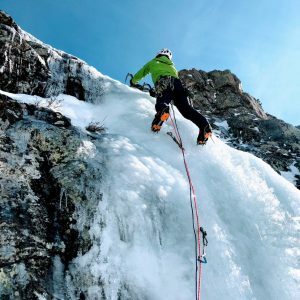 If you have ice climbed before, are an avid rock climber, or would just like to get the most out of your experience on the ice, we would recommend a full-day of ice climbing. 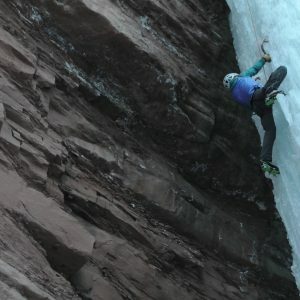 The longer trip will allow you and your group to have more time on the ice, helpful to real progression of skills and honing particular elements of your technique. This can be very beneficial for larger groups so that everyone can get multiple climbs in and is also recommended for individuals and small groups that have goals to climb hard ice, multi-pitch routes or are aiming to develop an alpine skillset for larger objectives. 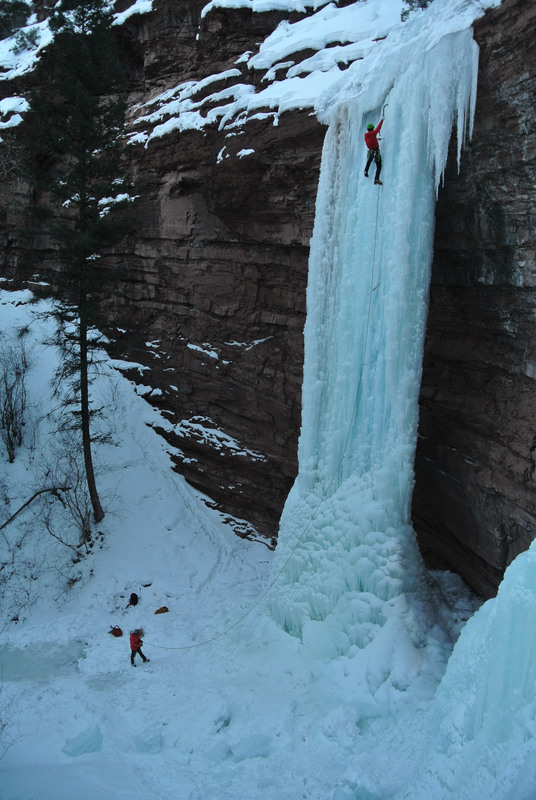 If you would self-describe as an ice climber, Mountain Trip is permitted to guide on some of the more challenging and notable local classics, like the Ames Ice Hose, Ingram Falls and Ingram Slabs and Bridal Veil Falls, among many others. 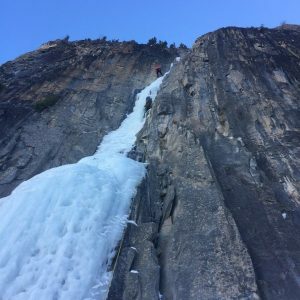 These routes tend to demand long, challenging days even for experienced climbers, and many are multi-pitch routes that present their own unique challenges. 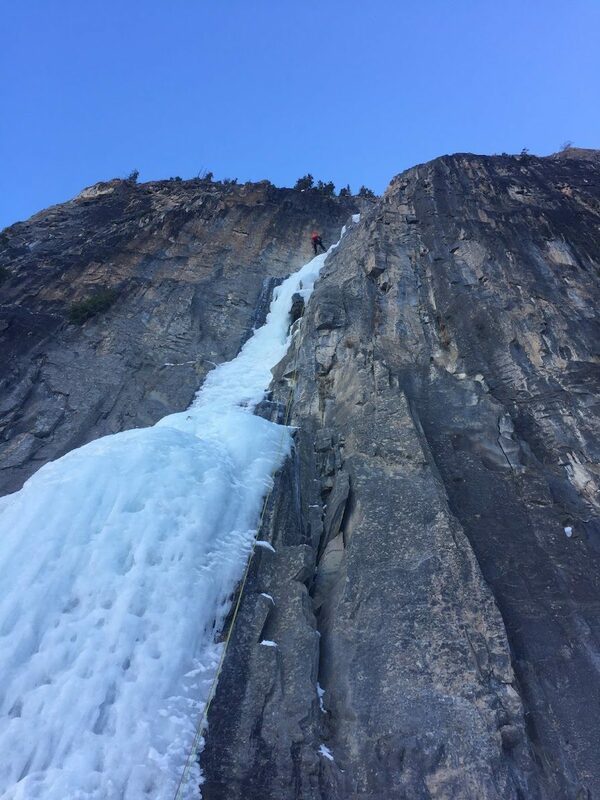 One of the most interesting and engaging aspects of climbing ice is its ephemeral quality–it never comes in the same way twice! The aforementioned routes may or not come “in” on a given year. Mountain Trip will provide all the necessary technical climbing equipment to all climbers, unless you would prefer to use your own. 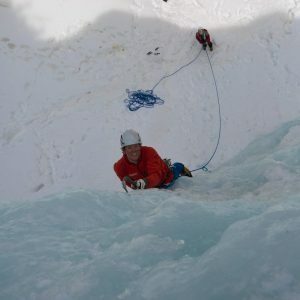 We make sure that all equipment that we provide to our climbers is top-of-the-line and the newest technology available. 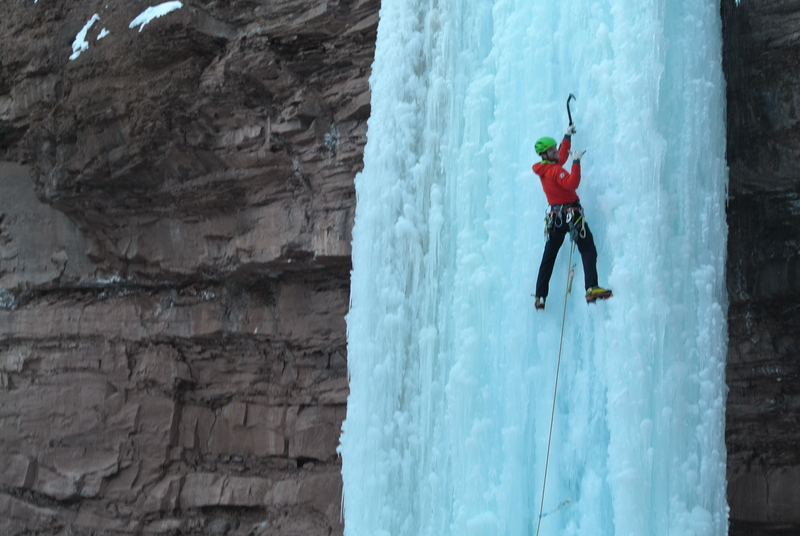 The following is a general list of required gear for ice climbing with Mountain Trip. Climbers joining us will receive an updated, comprehensive equipment list that may supersede this list. In general, you want a selection of warm layers that can work together. 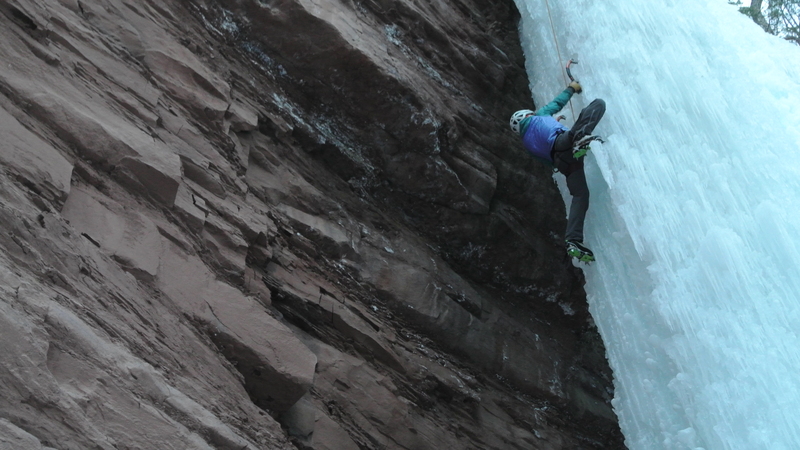 Clothing that works well for a day of skiing will work fine, but dedicated climbing clothing works better. Many of the items on the list need to fit you well in order for you to fully enjoy your experience in the mountains. Please plan ahead with equipment purchased for your trip so you can be certain that your gear fits you well. Recommended items reflect the opinions of our guides. We have used and have faith in all of our recommendations, but they may not necessarily fit or work for you. Please follow this list closely and do not hesitate to call us for clarifications or to solicit an opinion about anything you are considering. There is a good selection of gear available in Telluride and Ouray, and we have a good selection of loaner and rental gear, so just let us know what you might need. 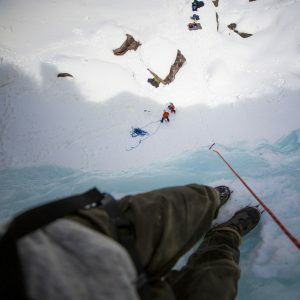 Mountain Trip recognizes how difficult and disappointing it can be for climbers who must cancel climbs which they have planned for a long time. 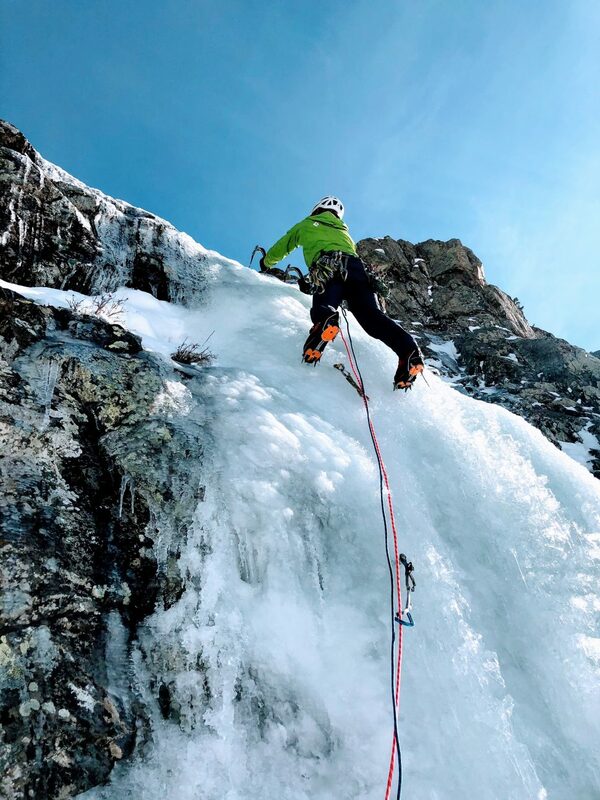 Climbers must also recognize that, due to the nature of planning climbs and contracting guides for specific dates, Mountain Trip also accrues significant expenses in organizing a day of ice climbing. 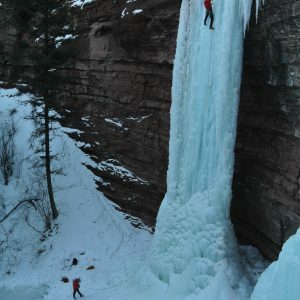 We must therefore adhere to a strict refund policy for all climbers. Trip cancellation and travel insurance is generally available for all expeditions. U.S. and Canadian residents should contact us for more information regarding travel insurance. Our refund and cancellation policy is outlined below. 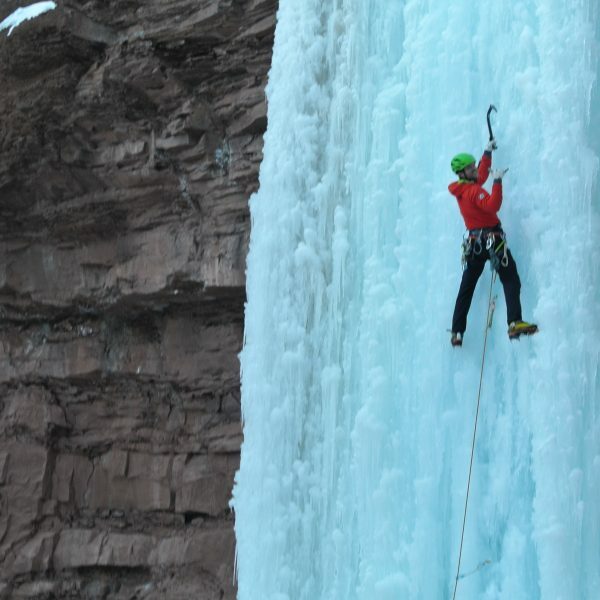 • We require payment in full for all of our Colorado Ice Climbing trips. Submission of payment constitutes your agreement to our Refund and Cancellation Policy. 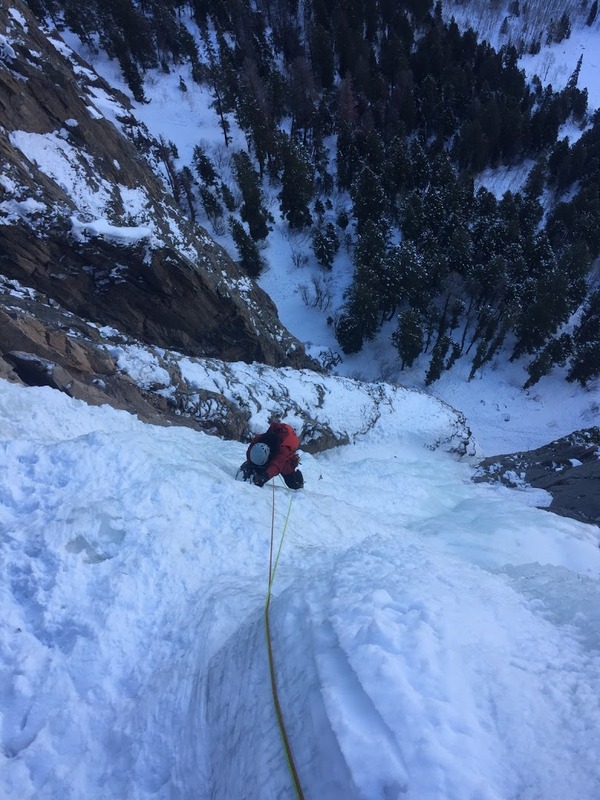 • No refunds will be provided for cancellations occurring within the last 7 days prior to your scheduled date for ice climbing. • Mountain Trip reserves the right to cancel a climb prior to the departure date for any reason. In such an event, all monies collected by Mountain Trip from team members for that climb shall be promptly refunded. This is the extent of our financial liability. When registering for a climb with Mountain Trip we want to help make sure you understand the services we are providing and the services you are responsible for. We will designate a specific Team Meeting Day for your climb. Transportation to the meeting point on your Team Meeting Day is to be provided by you, unless otherwise arranged with Mountain Trip. You must arrive in time to be ready to participate in a team meeting at the appointed time on the Team Meeting Day for your climb. This probably means you will need to arrive the day before, as it is often prudent to get an early start in the morning. 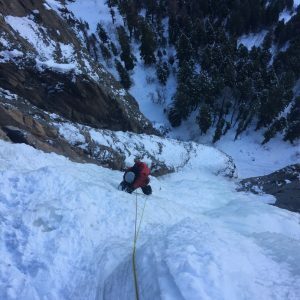 Climbing is very dynamic and we will provide you with a recommendation as to when you should book your flights to and from your destination or how you might best arrange your travel to SW Colorado. If flying, we suggest you book a ticket that allows you to change your flight with little effort or cost. While on the climb, team members are responsible to maintain basic levels of hygiene and to conduct themselves respectfully with other team members and members of the local population. 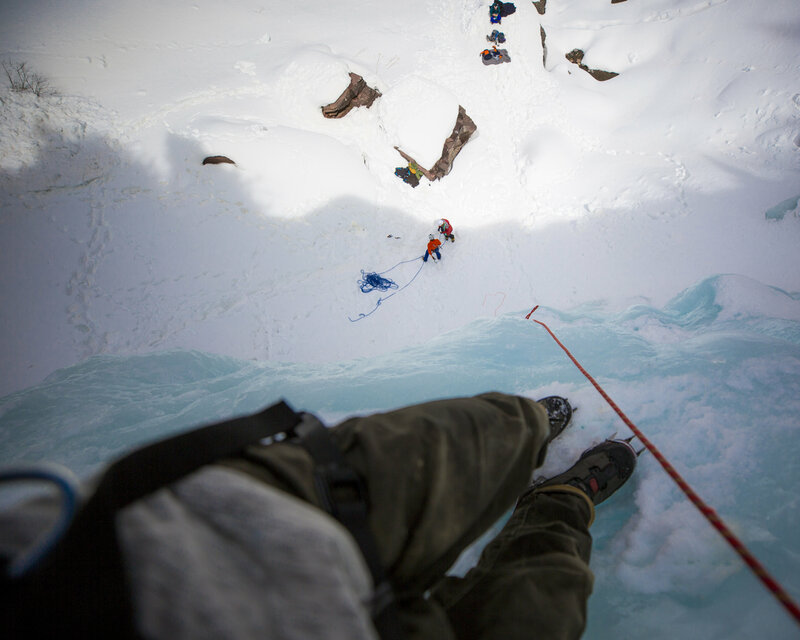 If a guide feels that a team member is putting other members’ health or safety at risk, the guide has the discretion to remove a team member from a climb.